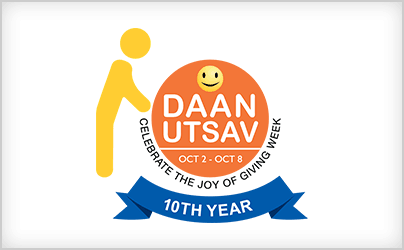 The tenth edition of Daan Utsav, a celebration of the spirit of giving, is around the corner and various programmes and initiatives have been lined up in the city from October 2nd to October 8th. Since 2009, Daan Utsav has commenced on Gandhi Jayanti, with events and initiatives spread across a week to follow. 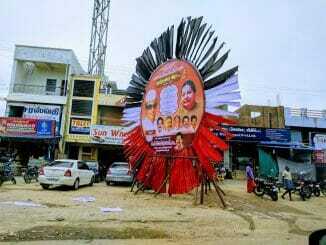 The festival was created with the aim to give back to the society. Individuals, NGOs, educational institutions and corporate companies have over the years come together to provide their time, money and effort to share with those in need. The various initiatives as part of Daan Utsav this year look to honour the city’s community service providers such as sanitation and conservancy workers and policemen. This year, NGO AID India is organising a series of drives to benefit the communities they work with. They welcome contributions of solar lamps for the after-school learning centers for marginalised children run by the organisation across 1000 villages in the state between 1 – 8 October. Those interested can also contribute sports kits to the children attending the learning centers. A toy drive also aims to collect 25,000 new or gently used toys to be distributed among the children. Contributions can also be made towards rewards and gifts for children who will participate in the Eureka Learning Festival. Non-profit No Food Waste, which functions with the twin aim of ending hunger and reducing food waste that gets landfilled, will collect excess food from hotels, marriage halls and homes to distribute among those in need with the help of volunteers. Breakfast and beverages has also been organised in Besant Nagar for 100 members who are vital community service providers such as staff of the Chennai Corporation and the Chennai police. Eco-Kitchen is a social enterprise that provides opportunities to those facing social and economic challenges. Through a centralised, environmentally-conscious kitchen they also help address food insecurity. Eco-kitchen launched the “honour and serve” initiative that will see “kalyana sapaadu” served to 6000 of the city’s conservancy workers who are the face behind the cleanliness of the city. The citizens will acknowledge the invaluable service provided by the cleanliness champions and pledge to do their bit to keep the city clean. The celebration is to take place on October 2. Endrum Punnagai, an initiative by the YRG Foundation, is an activity-based learning programme which works with children from disadvantaged communities. It is organising an art exhibition at the Shollinganallur Government Higher Secondary School. NGO Goonj is also collecting woollen blankets, utensils, bed sheets and clothing for children, materials for schools and monetary contributions over the course of the week. 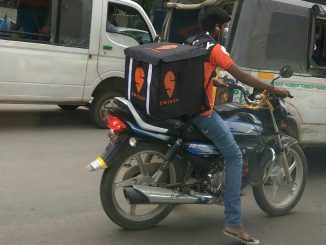 Dear Chennai politicians, here’s what you ruined for me…and yourself! An irked citizen vents his anger after a harrowing ride through the city’s streets on a Sunday when the ruling party was celebrating their founder leader’s birth centenary. 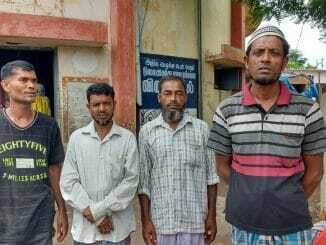 Driven by riots from their native country of Myanmar, 93 members of the Rohingya Muslim community have settled in the Kelambakkam refugee camp. Bhavani Prabhakar visits them to know more about their life in the city.